We have been in the market for over 10 years with thousands of satisfied customers. We help customers add better values and to their cars. We offer the widest choice of designs. The combinations of color, border, logo and text we offer runs into 1,000’s. If you don’t see the logo you want, simply contact us at info@ezplates.co.uk detailing your requirements. We also offer every size of plate that you can imagine. 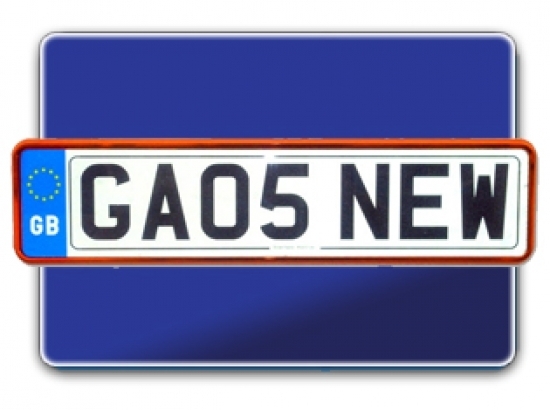 If you don’t see the number plate size you require, tell us at info@ezplates.co.uk. For further information on the plate sizes that we offer, go to our plate size page. Should you have any queries regarding our online ordering system, simply call our office on 011 328 0338 and speak to a member of staff who will take your order.